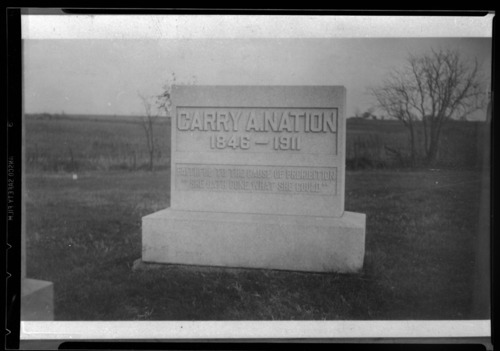 This photograph shows Carry Nation's tombstone at a cemetery in Belton, Missouri. The dates on the tombstone are 1846-1911. The first line of text is Faithful to the Cause of Prohibition. The second line is "She Hath Done What She Could."